I put my hand over my heart. It still was beating like a big bass drum, but overall I felt alright. I put on a happy face and resumed the conversation. “Keith-o, what’s happening? How are the rehearsals going?” He was in the Emerald Isle with the rest of The Rolling Stones, preparing for their latest tour. It opens next week in Dublin. And yeah, damn right that Keith and I are buds. You can learn a bit of the backstory by clicking here. “Keith, my man, your future is bright. Very bright. You’ve got more lightbulbs going off in your head than I have strands of hair on my head.” And that’s when a lightbulb went off inside my head for a change. What can I say but …. “Bravo”! Thanks, Carmel, from me and KR. I love your Keith Richards’ stories and this one is a belter. Although, when I first discovered your blog I had to read such stories several times, just to be sure….! Glad you like them, Alyson. I have fun writing them. Who knows what the next KR story will be about. Nice. I have no doubt you saw the movie “Under the Influence.” Keith is a virtuoso on the guitar. Hello there. No, I haven’t seen it. I know of it, though. One of these days I’ll check it out. 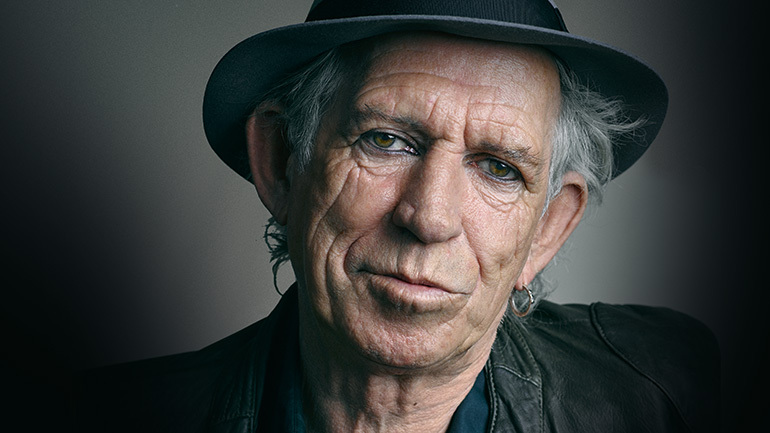 Always good to hear what Keef’s up to, from you, his mate. Me and Keef and Ozzie ‘ad a good chat over tea and crumpets recently about one of our favourite blokes, Stevie Marriott. Hope to post about it, soon. Till, then, I’m checkin’ out Andy Ferguson, since my daughter’s moving to Glasgow, and I need to learn how U.S. expats can get visas to escape the land of Trump. Cheers, Neil! Morning, Pete. She has picked a good place to live in. I was in the Scottish Highlands for a week many years ago. Very beautiful. I’d like to go back. Pete, all Trump refugees are very welcome here. Apparently he’s due over himself shortly to check out his golf course investments, but has committee something of a faux pas (I mean, apart from all that Korea/Iran stuff) by banning our national soft drink, Irn Bru, from his hotels because it stains the carpets – see https://www.independent.co.uk/news/uk/home-news/donald-trump-irn-bru-ban-scotland-turnberry-golf-resort-club-a8343786.html?utm_campaign=Echobox&utm_medium=Social&utm_source=Facebook#link_time=1525895762 so we’re preparing a very special reception for him! Thanks, Andrew. My daughter and her husband are looking at Bearsden, outside Glasgow. They’ll be house-hunting there in late July or early August. I’m looking forward to visiting, not only to escape Trump Dump, but also to see my homeland (one of many). Regarding Irn Bru, I read the article. Cor blimey, Trump stains his skin and hair, and has permanently stained the U.S., so I don’t understand his concern about a drink. Cheers! Nice one. Bearsden’s a very pleasant suburb of Glasgow – my sister lived for many years in nearby Milngavie (pronounced Mul – guy for reasons no one can fathom). Enjoy your trip! Good to hear from you, Laurie. Glad I was able to send a few chuckles your way. I love to hear all of the details about your relationship with Keith—he’s a doll (does anybody say that anymore?) And it’s such a relief to hear that he’s planning to apply his genius to curing baldness. I know lots of guys in my generation who would buy into that, given all of the bucks the Boomers have! So he would be rich in no time! Diane, Keith can do it all! I get everything about this post except the photo of the Shar Pei. I can go for the prune chewing gun but kale, never! Quinoa gum might not be bad, either. Muriel, every word is true! Hi, Northie. Good to hear from you. I’m glad you liked this story. You’re right about truth. It can be pretty flexible. Laughter is good for the human spirit. That’s for sure. Always good to hear from you, Isabelle. Bye for now. Many thanks, Lynette. I appreciate that a lot. Thanks for the shout out, Neil. And we’re mighty relieved to hear Venus is back: she’d kind of disappeared off the radar for a bit there, but if Keef says…! I’m gonna have to get me some of that there hair growing stuff. CB could use a little on top. On the Scottish thing. I seen two guys in green kilts power washing my neighbors place. You know I’m not making that up. Who knew Kieth Richards was also an inventor? And I rather like the idea of an applauding toilet! Right, we all could use some “Bravos” each day. Wouldn’t hurt! Well, Neil, I’m not a toilet, but I’ll applaud you for invention here. Fun and funny post. Thanks very much, Amy. Appreciated. I drink a lot of seltzer! Hi, Neil – From one collector of the humorous and the unconventional to another, your writing tickles us in just the right spot. Thanks for the smiles and keep writing! Great story – had me reading right until the end! I like it when you become whimsical, Neil, and spin us a fantasy. Thing is, your wrote Keith’s dialogue so well, I could hear him saying it. Cool. Hey there, Janet. Thanks for the visit. It’s kind of amazing that the Stones are still together and touring. And still drawing big crowds! They play in Dublin in a few days. LOL! I can only imagine how this conversation could look in person. A fun read, Sir! Hi there, Jean. Thanks a lot for stopping by. And thanks for the thumbs-up. I appreciate it! I had to laugh–which may not have been your intention. Brussel Sprout’s flavored chewing gum? Hmm… Well, I may simply be small minded. Yup, I was hoping that the piece comes across as funny. So, I’m glad you laughed!